Think about your favorite online vlogger or web series—what do they both have in common? What makes their videos so memorable? That’s right, a killer intro—a visual sequence that grabs your attention and locks you in for the rest of the feature. 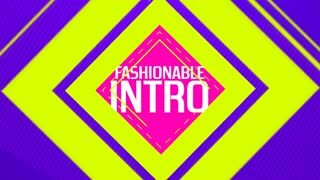 An intro is the first thing an audience sees and can easily be deemed as the most recognizable aspect of any creative video. So as an inventive freelancer, a marketing extraordinaire, or filmmaking wiz—you can level up your own YouTube channel by learning how to make an intro for YouTube. To make it a little easier or save yourself some valuable time, you can use video templates and stock audio from the Storyblocks library to customize your own intro. So—how do you get things rolling? You could start by reading about our Top 20 Tracks for YouTube Intros and Outros, looking over 40 After Effects Templates To Drive Views on YouTube, or diving into thousands upon thousands of fresh new footage and templates right on our site. For now, let’s break it down. What Exactly is a YouTube Intro? A YouTube intro is essentially a “welcome” to your viewers. The first five to ten seconds introducing either you and your channel or your brand and it’s message—basically the same as the opening sequence to your favorite TV show. It should be the same in each video on your channel so you can establish continuity and recognition with your viewers. Why Do I Need an Intro? Credibility and recognition go hand-in-hand. The easier you make it for not only your loyal viewers but also for potential new subscribers or customers to recognize your videos increases audience engagement—that’s a win. Think of it as brand loyalty—but the brand is you, your message, and your content. So, What Makes a Killer YouTube Intro? Personality! This is your channel, after all. There’s no shortage of inspired stock footage and stock audio for you to choose from in the library. Be inventive and bold with your intro—the internet is an endless sea full of creatives just like you so it’s integral to stand out whenever you can. Using dynamic visuals and catchy tunes will attract and retain viewers. Retention rate is paramount for any marketer, creator or filmmaker. Show your viewers you’re a creative pro. How Do I Make My Own YouTube Intro? We know our creators love when content is versatile and customizable. Adobe AE templates give you the best of both worlds. Maybe you’ve got the skills to create your own animated design work, but when time is of the essence, using a template spares you the stress and gives your content a uniformed look in a breeze. Don’t forget to pick out a stock audio track that resonates with the theme of your channel or brand voice and voila!—you have yourself an awesome YouTube intro. Download this Fashionable Stock AE Template. Download this Bold Stock Footage Intro. We’re here to help you go viral. It may not happen overnight—but you’re on the right track. Using stock footage and stock audio to make your own YouTube intro not only steps up your content quality but adds that sweet touch of professionalism that will garner you mad internet credibility with your viewers. Learn more about how to make a successful YouTube channel.